Boots are your single most important investment for this and future trips so time must be taken to try on at least 5-10 pairs of different hiking boots. I toughly recommend you go to a specialist-hiking store for the fit out such as Paddy Pallin, Trek and Travel, Adventure 195. Other retailers can be a hit and a miss as the staffs training can be more orientated towards the sale rather then the right advice. 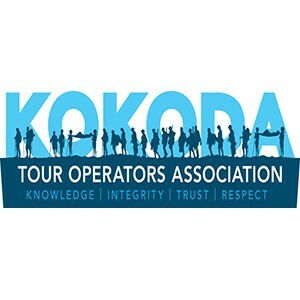 In saying this the local Mountain Designs at Kotara has very competent and capable staff especially the manager who can fit you out in the right manner. I have found Kathmandu on a whole as a poor provider for boots advice. Before make your boot choice you should consider if you are going to replace the innersole with an after market quality innersole to suit you arch type (recommended as I use a thicker more comfortable mid arch inner purchased from athletes foot). Your boots should be just wide enough in the toe box to fit the specific width of your feet, there needs to be a little spare room for your foot to slide forward and toes not hit the end of the boot while the toe box should not be to tight over the top of the foot. While the boots heel section should have minimal movement, as this is where some of the largest and most painful blisters can come from. You will need to walk about in these in the store for an extended period and they should have a platform at approx. 60 degrees to allow you to feel the shoe fit when on a ascent and decline surfaces. After purchasing the boots take them home and wear them inside for a few hours to reassure you of correct fit (all stores should except these as returns if not worn out side). Boot brands will vary to what type and shape of foot you have but I have always found Scarpa to be my boot of choice, although Salomon and Asolo’s as good brand choices. Surprisingly in the world of hiking boots Kokoda does not require heavy hard soled boots as the boot wont be exposed to rock slides with many sharp edges as other locations in the world. Some people may decide to use trail runners as apposed to full height hiking boots. If using runners ensure they are trail runners and NOT road runners. Road runners are generally made from lighter-weight materials and have thinner treads Trail runners, which are heavier and have a thicker sole that can help maintain the strength of the shoe in tough off trail conditions. One obvi­ous ben­e­fit of a trail run­ner is the reduced weight, trail runners are about half the weight of a hik­ing boot. Less upward lifting force is required for each step, this can help reduce muscle fatigue. Trail runners biggest defect can be their dura­bil­ity, these shoes will not last for thou­sands of kilometres like a hiking boot (it is a real hassle if this lets you down while on a tour). The trail run­ner doesn’t offer very much ankle support as opposed to a hiking boot. One other thing I have noticed during hot humid walks like the Kokoda track is people with trail runners tend to suffer more from tinea than those who wore hiking attire, this is a real pain when hiking for multiple days. Trail runners are unsuitable for cold climate hikes where a thicker boot insulates your foot from the outside better. Here at ETA we recommend full height hiking boots.